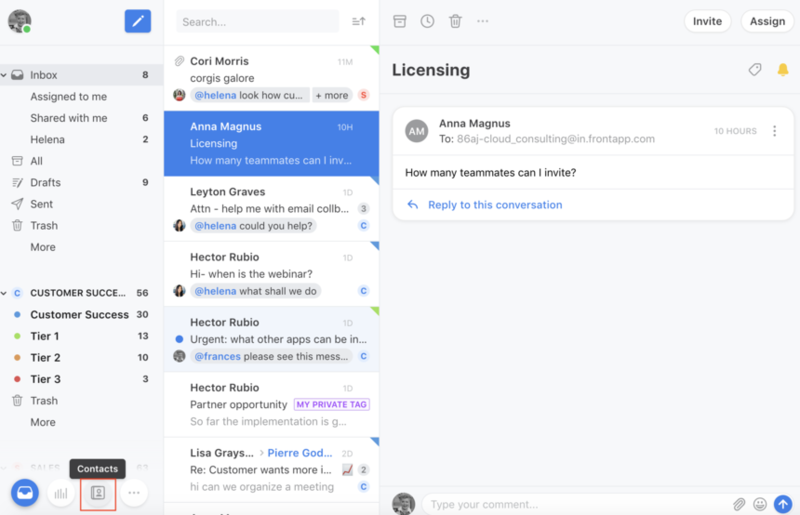 When you delete a Front contact, it will no longer be accessible or visible to your team in Front. 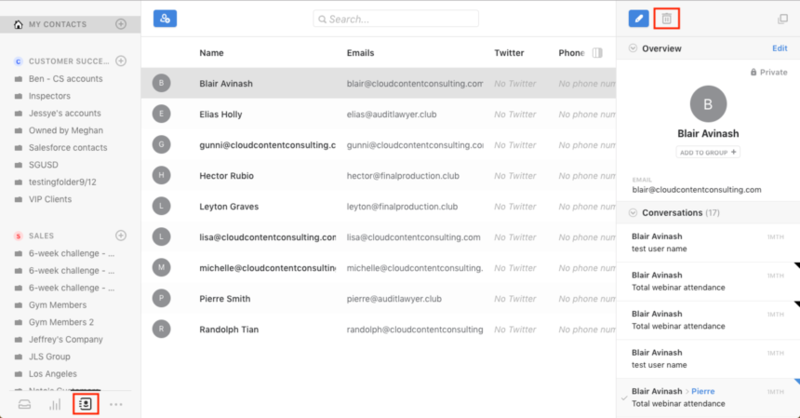 However, the contact data will be saved on Front’s servers unless you permanently delete the contact. To do this, you’ll need to complete an additional step that’s only possible for private contacts. Team contacts cannot be permanently deleted while your team’s Front account is active. Open your Front contacts manager by clicking on the third icon in your app tray, the icon of the notebook. Select the contact that you want to delete, and click the trash icon on the contact card. Click Delete in the popup window to confirm that you want to delete the contact. After that, the contact will no longer be visible in Front. First, you need to permanently delete all conversations to or from the contact. You must complete this step so that there are no conversations related to the contact in Front in order to permanently delete the contact. This is only possible for private contacts. Team contacts cannot be permanently deleted while your team’s Front account is active. Searching for all conversations to:contactname@company.com and from:contactname@company.com . Hold down the shift key while you select all the conversations related to that contact. Click on the trash icon to move them all to Trash. In Trash, hold down the shift key while you select all the conversations related to the contact, then press Delete permanently. 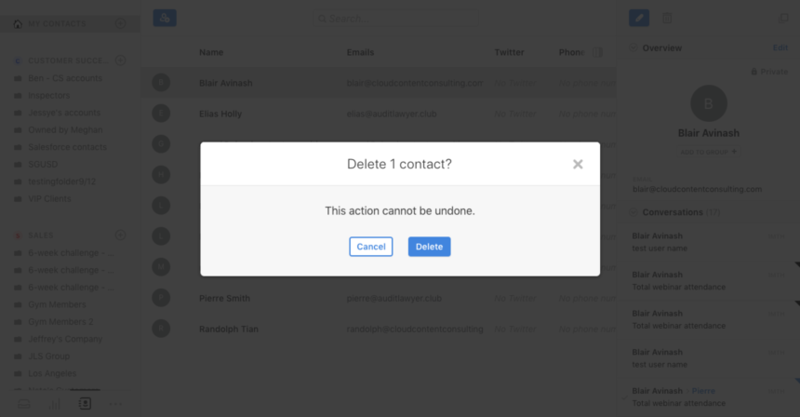 Once you have deleted all the conversations related to the contact, follow the steps above to delete the contact card. 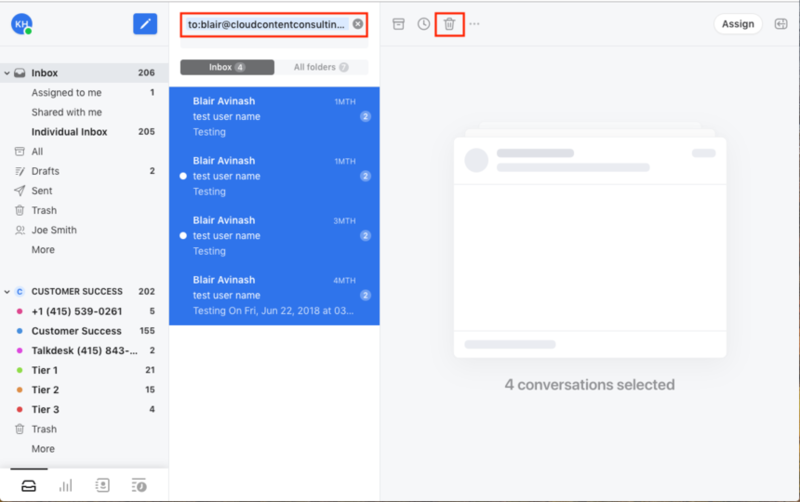 When there are no conversations related to the contact remaining in Front, the contact record will be permanently deleted when you delete the contact. This means the data will be completely removed from Front’s servers and cannot ever be restored.